We know that the Eternal One is echad. Everything about Him is One. Hence it is not that G-d “has” a Name, He and His Name are inexplicably One. In the same way the revelation of HaTorah is the revealing of the Divine Echad. As we read it we are peering into the “Mind” of the Holy One, blessed be He. How can we remember/learn the lessons of the past? How can we know what our ancestors did and believed? How can we observe the Covenant HaShem made with them and through them with us? We have the Tanach (the Hebrew Bible) and other sacred writings and traditions to guide us. Jews have historically been referred to as the "People of the Book" for just this reason. We prize learning and study very highly. Balance and reason with simplicity are essential. We study these documents, we prayerfully ponder their teachings, we carefully consider the understandings our sages drew from these vast waters... and then we calm our minds and apply the wisdom according to our own times and circumstances, always in harmony with HaTorah. It works. The proof? We still survive and thrive. Since the Scriptures are so central to our Tradition we need to be certain of their reliability. Its too easy to say “I believe." 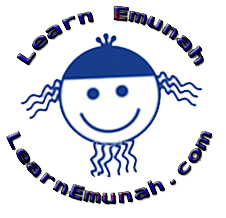 One should examine the evidence with emunah and come to personal certitude. As anyone knows who has seriously studied the history and transmission of the Bible, its not that straight forward. We believe the Torah we have today is the same Torah that was revealed to Moshe Rabbeinu (which is number 8 of Rambam's Thirteen Principles of Judaism), but this belief needs to be based on fact not just religious blind faith. And it is! IF we study Torah carefully with the insights we glean from our sages. Even if one has perfect faith that every word in the Tanach was originally directly spoken by God and written down perfectly by inspired scribes (which the Bible nowhere teaches by the way) still one has to deal with the conflicting manuscripts and obvious scribal errors in the present versions. Nothing is to be gained by wearing religious blinders and pretending the Bible we have today is "inerrant" and identical to the original manuscripts (none of which exist today). We need to understand the Holy Book as a book even as we view it as holy writ. How can we expect others to honor Torah and properly understand it if we don't seriously study it ourselves? T: The Torah or "Teaching." Torah in this context refers to the Five Books of Moshe (Genesis - Deuteronomy). Biblical Hebrew has no vowels, so the two "a" nikkudot in the word “Tanakh” (Tanach) are added for pronunciation (and sometimes written down as dashes below the Hebrew letters T-N-KH). The entire Tanach or Miqra is sometimes referred to as “the Torah” because it is all accepted as inspired teaching (although not as “God-breathed” in every instance outside of the Five Books). The Written Torah is also called the Pentateuch, “the five books” of Moshe Rabbeinu. Torah (as the Five Books) is not the only inspired text, but it is the foundation of all others. Nothing that contradicts the Written Torah should be accepted as truth. The Tanach is one, but it is rightly understood by its traditional divisions: The five books of Moshe Rabbeinu are called "Torah." The biblical Hebrew cannon as a whole is correctly referred to as "the Tanach." Torah is therefore the “Mind” of the Echad Elohim (the One God). The Teaching (Torah) is revealed in various ways. While Torah is the Five Books, it is much more than that. Torah is the Revelation of Ain Soph (i.e. the Eternal). Torah is the Eternal Mind of G-d transcending all time and space. The Tanach has weathered the storms of time amazingly (miraculously) well. Its purity of transmission over thousands of years testifies that HaShem has preserved it and that we can have absolute confidence in it. In the beginning when Elohim (God) "SAID Let us make..." this Word was a reflection of Eternal Torah. The Oral Torah has existed as a reflection of Eternal Torah since the very beginning of time, even before that. Both the Written Torah and the Oral Torah, such as the Talmud, Mishna, etc. reflect this timeless Wisdom or Mind of HaShem, and yet Torah is more than these texts. In order to preserve and promulgate the instructions of the Oral Torah these truths were eventually written into books, complete with rabbinic commentary. According to the rabbis, the Written and Oral Torah were transmitted at the same time to Moshe Rabbeinu (i.e. 'Our teacher Moses'). The Oral Torah was one of the first things created by HaShem and predates the even the Written (i.e. Genesis - Deuteronomy) which was not revealed until Moshe Rabbeinu reached Mount Sinai. Peshat: The simple, explicit, or surface meaning. Remez: The meaning attained by “reading between the lines.” In modern Hebrew remez refers to a “hint.” Traditionally this refers to methods such as gezera shava (using equivalent language, implying equivalent meaning) and gematria (word-number values) and the like. Derash: The homiletical or interpretative meaning. The word midrash is from the same root as drash, referencing an interpretation that is not explicit in the text, but is suggested by it. Sod: The “secret,” mystical or esoteric meaning such as we find in Kabbalah. Chassidus sometimes includes a fifth level, Sod of Sod, “the secret of secrets.” This is said to be the innermost confidential meaning of the Torah. Where the Written Torah leaves words and concepts undefined, where it orders various observances without giving explanation or instructions, we seek guidance from the Oral Torah and the various supplementary teachings of the sages and rabbinim (such as Rebbe Nachman's Likutey Moharan). “Observe HaShabbat” commands the Written Torah, but how to do this is explained in the Oral Torah and the supplemental texts. The same is true with many topics. We have been given a vast library of Torah knowledge to guide us! The term "Talmud" normally refers to the Babylonian Talmud, although there is also the collection known as the Jerusalem Talmud. The Talmud is composed of the Mishnah (Hebrew: משנה, c. 200 CE): This is the written "Instruction" or "Teaching") and the Gemara (c. 500 CE), which is a clarification of the Mishnah and related writings. The complete Talmud consists of 63 tractates and is over 6,200 pages long. It is written in Tannaitic Hebrew and Aramaic and contains the wisdom of thousands of rabbis on innumerable subjects. To help Jews better understand the Talmud, Rambam (Maimonides) produced the Mishneh Torah, subtitled the Sefer Yad HaHazaka (ספר יד החזקה "Book of the Strong Hand"). This work is a principle codification of Jewish Law (Halacha). The Shulchan Aruch by Rabbi Yosef Karo in 1563 essentially sought to clarify the Mishna Torah and to present a practical guide to daily Jewish life. Rabbi Schneur Zalman of Liadi (i.e. the first Lubavitcher Rebbe) authored the Shulchan Aruch HaRav. The Kitzur Shulchan Aruch was written by Rabbi Shlomo Ganzfried to further organize and further clarify the Laws. Originally the Oral Torah was passed down from teacher to student orally however during the Babylonian captivity concerns began to arise about the purity of its transmission. Following the fall of Masada in 71 CE this knowledge was written down and preserved as the Jerusalem and Babylonian Talmuds. We have a very extensive religious and legal library as Jews. Despite all of this meticulous documentation and explanation, “Torah” remained One because HaShem is One. Torah then is truly the Mind of the Eternal One. "Moses received the Torah from Sinai" (Avot 1:1). Yet there is an ancient tradition that the Torah existed in heaven not only before God revealed it to Moses, but even before the world was created. The apocryphal book The Wisdom of Ben Sira identified the Torah with the preexistent personified Highest Wisdom (1:15, 26; 15:1; 24:1ff. ; 34:8; cf. Prov. 8:22;31). In rabbinic literature, it is taught that the Torah was one of the six or seven things created prior to the creation of the world (Gen. R. 1:4; Pes. 54a, et al.)." The Talmud reveals a great accumulation of information derived from the Eternal Torah and the experiences and revelations of the elders of the Jewish people dating back to our beginnings. Adam knew the Oral Torah, Avraham Avinu knew it, as did Moshe Rabbeinu, who specifically received it at Mount Sinai along with the Written Torah. The Oral Torah has been with the Hebrew people since the beginning and abides with us still. It is the principle nutrient that waters the root of our collective tree. This knowledge was eventually written down, edited and codified by Jewish sages as the Talmud, the foundation of Rabbinical Jewish Law and practice. From these records we have the traditions, customs, apologetics, and wisdom of the ancients that forms the heart of our sacred Tradition. The Written Torah is divided not only into the Five Books and their traditional chapters and verses, but also into parashot or weekly reading portions. Utilizing the prescribed parashah readings the entire Torah is read from beginning to end by observant Jews once each year from Simchat Torah to Sukkot. The day after the conclusion of Sukkot is known as Simchat Torah ("Rejoicing with/of the Torah"). This celebration marks the conclusion and beginning of the annual Torah reading cycle. Torah is the heart of biblical religion and the weekly parashah readings are a key way we connect with the Torah and its Author on a consistent basis. Simchat Torah celebrates the centrality of the Torah and is a component of the Biblical holiday of Shemini Atzeret ("Eighth Day of Assembly"), which follows immediately after the festival of Sukkot. So in conclusion, Torah is “the Mind of G-d.” Those who abide within it know joy and achieve devekut attachment to holy One.